고려시대에 강화해협을 지키던 외성의 요충지이다. 병자호란 뒤 강화도를 보호하기 위한 방법으로 내성·외성·돈대·진보 등의 12진보를 만들었는데 그 중의 하나이다. 현종 7년(1666) 국방력 강화를 위해 해군주둔지(수영)에 속해 있던 덕진진을 덕포로 옮겼으며, 숙종 5년(1679)에 용두돈대와 덕진돈대를 거느리고 덕진포대와 남장포대를 관할함으로써 강화해협에서 가장 강력한 포대로 알려져 있었고, 강화 12진보 가운데 가장 중요한 곳을 지키고 있었다. 1866년 병인양요 때는 양헌수의 군대가 덕진진을 거쳐 정족산성으로 들어가 프랑스 군대를 격파하였으며, 1871년 신미양요 때는 미국 함대와 가장 치열한 포격전을 벌인 곳이다. 그러나 초지진에 상륙한 미국군대에 의하여 점령당하였다. 이 때 건물에 몸을 숨겨서 적과 싸울수 있도록 쌓았던 낮은 담은 모두 파괴되었다. 1976년 성곽과 돈대를 고치고 남장포대도 고쳐 쌓았으며, 앞면 3칸·옆면 2칸의 문의 누각도 다시 세웠고, 당시의 대포를 복원하여 설치하였다. This was a military camp that held a strategic position at the outer line of defense of the Ganghwa Strait in the Goryeo Dynasty. 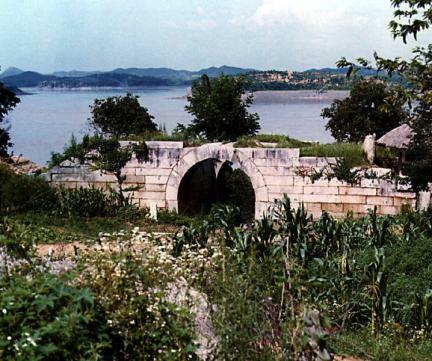 It was a camp for infantry and artillery, and one of twelve such camps, with an inner and outer wall, a fortification and a defensive position specially constructed in order to defend Ganghwa Island after the end of the war with the Qing Dynasty. 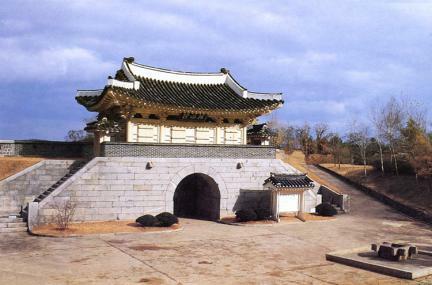 Deokjinjin Fort was originally established as a naval station. In 1666, the 7th year of the reign of King Hyojong, it was moved to Deokpo region to strengthen national defense. 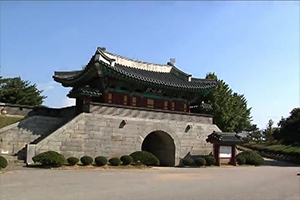 By 1679, the 5th year of King Sukjong’s reign, its defenders were recognized as a crack contingent, with two units of artillery stationed at Deokjin and Namjang, and two guard posts stationed at Yongdu and Deokjin. 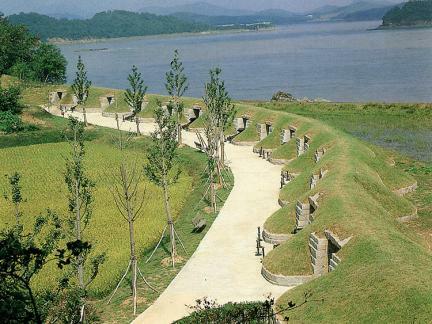 This camp, one of twelve established in Ganghwa defended the island’s most important strategic position. 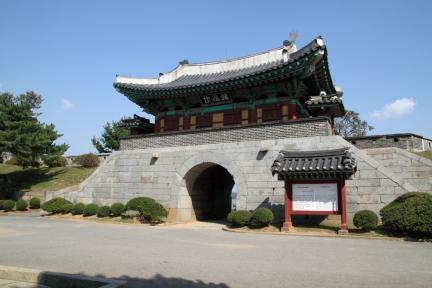 At the time of the French invasion of Ganghwa in 1866, a corps led by an army general, Yang Heon-su, defeated a French army by exploiting the configuration of the land around Jeongjoksanseong Fortress and Deokjinjin Fort. The corps fought a hard battle against bombardment by a U.S. fleet, but the fort was occupied by U.S. troops who had landed at Chojijin Fort. During the battle, low fences erected to provide cover for the Korean forces were demolished. 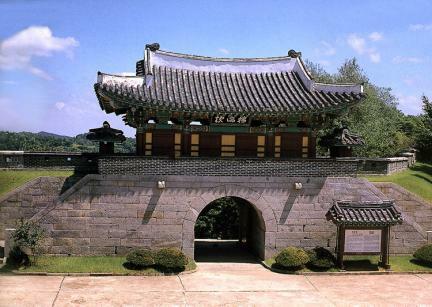 In 1976 the fortress walls and the fortifications were repaired, artillery positions in Namjang were restored, a gatehouse at with an upper story was rebuilt with 3 rooms at the front and 2 rooms at the side, and cannons were returned to their original positions.